Singapore. 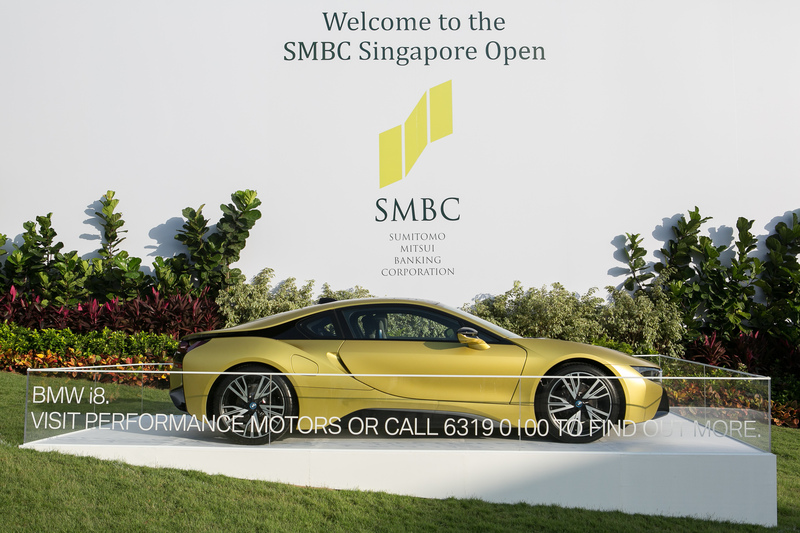 BMW served as the “Official Luxury Motor Vehicle” during the prestigious SMBC Singapore Open 2018, which took place at the Sentosa Golf Club from 18-21 January 2018. Top golfers including Sergio Garcia, the newly crowned SMBC Singapore Open champion, the world’s current number 10 and 2017 Masters Tournament champion, were chauffeured in a fleet of BMW cars. Co-sanctioned by the Asian Tour and Japan Golf Tour Organisation (JGTO), the 52nd edition of the tournament saw the participation of top-notch golfers from around the world. Sergio Garcia lifted his first Singapore Open title after finishing fourteen-under-par in the four-day tournament. Performance Motors Limited (PML) is a member of the Sime Darby Group and the distributor of BMW cars and BMW motorcycles in Singapore since 1979. PML has achieved various accolades in the area of sales achievement and service excellence in its 30-year history in the luxury segment. 2005 – PML sales powered to the top of the Singapore luxury car market. PML added to its collection of BMW awards with the Best Sales performance in the Asia region. PML sales established BMW as the leading premium car brand in Singapore. 2010 – PML broke the 4,000 unit sales record and set a new milestone in its retail history with a remarkable achievement of Top Luxury Car Brand in Singapore. PML reopened its refurbished Aftersales facility in East Coast Centre (ECC), at 280 Kampong Arang Road. 2011 - PML became the first ever luxury car brand and dealer to surpass the competition, in a highly competitive car market that has traditionally been dominated by volume driven marques. This is the first ever situation anywhere in the world where BMW is the leading car brand. 2017 - PML continued to trailblaze and achieved yet another sterling record of high performance in a second consecutive year. The introduction of five new BMW iPerformance models and an updated BMW i model saw PML cementing its position as the industry leader for plug-in hybrid electric vehicles (PHEVs) and electric vehicles (EVs) in Singapore. BMW was appointed the official car brand for numerous prestigious and high profile events including ASEAN Tourism Forum 2017, SMBC Singapore Open 2017, Singapore Yacht Show 2017, IMDEX Asia 2017, Miss Universe Singapore 2017 and Singapore International Energy Week 2017.